We are looking to recruit a new member for our team of experienced trade credit and political risk brokers. The successful candidate will help manage our bespoke and selective portfolio of major national and multinational corporate and financial institution clients as well as support our claims expertise. This is a challenging role for an individual who should be willing to support and assist in the marketing, negotiating, structuring, placing and servicing of global credit insurance programmes for large national or multi-national companies both in wholeturnover and excess of loss formats. Claims management is also an integral part of our offering. Candidates will also get involved in political risks, credit risk management and other credit risk mitigation tools both for major corporates and financial institutions. Preference will be given to those candidates with some experience of credit insurance and related IT platforms either as an insurer or broker. The role will include broking, (face to face and electronically), helping to create insurance structures to match complex contracts and financial structures , servicing, client support and claims work. Have a willingness to learn about our clients’ industries and trades, the insurance market and trade finance. The role will be London based but may involve some travel. For more information call Sarah Stables on 01473 222950 or to apply email your CV and covering letter to sarah.stables@willistowerswatson.com. Not feeling valued at work? Do you feel your clients are the last thing your employer considers? Have you got some good ideas but no one listens? You could go back to the 1980s and talk to us 0121 213 6352 or alternatively email contacts@parkernorfolk.com. What is it like to work at PNP? 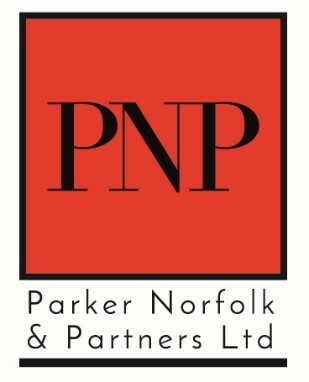 Visit us on LinkedIn to read our ‘Staﬀ Employment Journeys’: linkedin.com/company/parker-norfolk-and-partners-limited.